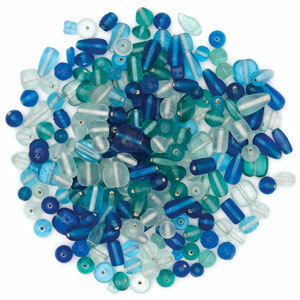 This is a beautiful combination of glass beads in coordinated colors for stunning jewlery designs. A handy sectioned storage case holds 330 g (12 oz) of beads, and features a handle for easy transport. The beads range in size from 4–12 mm.